Future Worlds Center, a CCMC member, has been selected by the European Commission, to lead a three-year peace project in Israel and the Occupied Palestinian Territory. “This is a great honour for Cyprus and for peace builders in the region to be recognised for their efforts and expertise”, says Future Worlds Center, as it facilitates a structured dialogue workshop in Cyprus from 26–30 July to empower Israeli and Palestinian civil society actors. 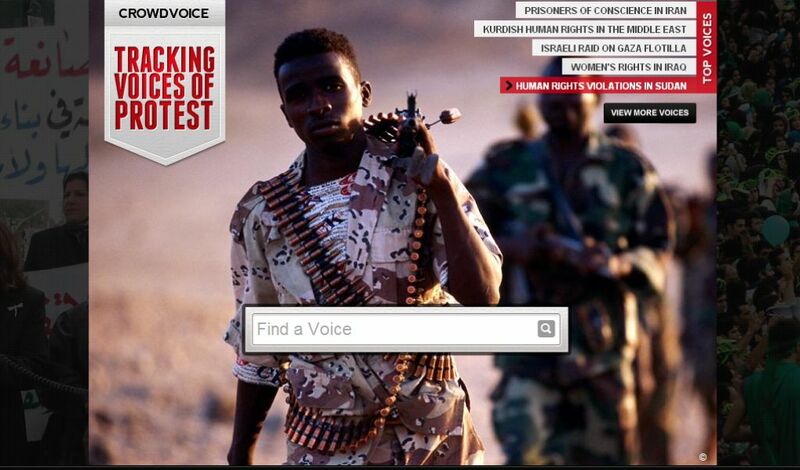 CrowdVoice is a user-powered service that tracks voices of protest from around the world. Raise your voice for causes you support with information you submit. At the moment the website has information on human rights violations in Sudan, prisoners of conscience in Iran, Israel’s raid on the Gaza flotilla, Kurdish human rights, and more. CrowdVoice is a project by MideastYouth.com, an independent grassroots digital network that leverages the power of new media to facilitate its struggle against oppression in the Middle East and North Africa. Mideast Youth is driven by its passion for civil engagement, freedom of speech, and employing innovative solutions to pervasive and persistent human problems. We came across this online list of the 50 blogs for following human rights news. Some are a bit dubious but others are a great source of activism and social witness from around the world. Check it out, and RSS to some of the ones that interest you. We particularly liked Amnesty International’s Blogs and Ashoka Peace.